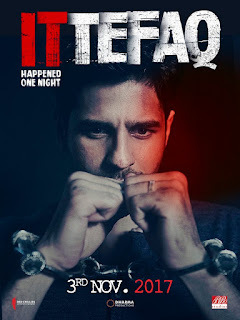 Actor Sidharth Malhotra has an interesting line-up of upcoming film. He awaits the release of the action-comedy ‘A Gentleman’ in August this year, followed by the thriller ‘It Happened One Night’ and Neeraj Pandey’s Aiyaary. The poster of one of the films, ‘It Happened One Night’, is out. The film is an adaptation of Rajesh Khanna’s 1969 blockbuster Ittefaq.